Hop on the express train to problem solving, strategic thinking and full-speed-ahead fun. 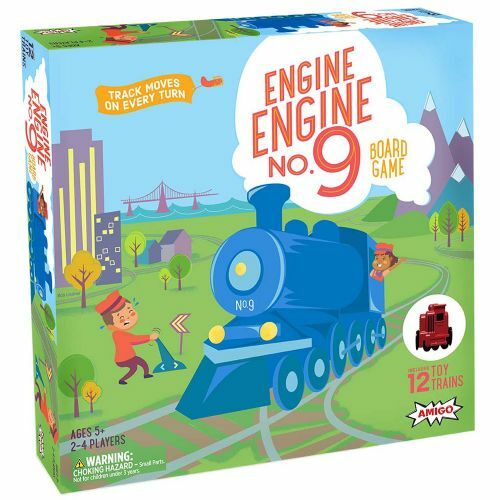 Young engineers roll the dice, switch the tracks, and race to get to the station first. 12 cute little train cars double as toys. 2-4 players. For ages 5-10 yrs, from Amigo Games.